DATE: 19 September 2017 TIME: 7:00 p.m. LOCATION: The Half King, directly below the High Line on 23rd Street. 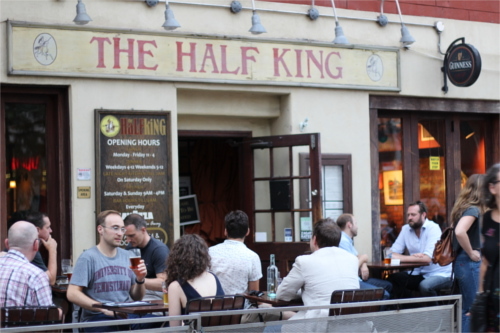 Please join the OPC for food, drink and fun at our monthly mixer at The Half King. Members and non-members – all are welcome to attend! The event will be held from 7:00 p.m. until 10:00 p.m. on Tuesday, September 19. No RSVP is needed.